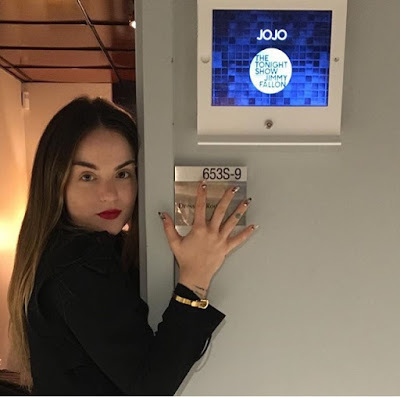 Blossoming songstress JoJo has been getting up close & personal with her fans on the I Am JoJo tour, but she made a pit stop on The Tonight Show Starring Jim Fallon last evening. Dressed in a black & white outfit she took to the stage delivering a rendition of one of her latest songs "When Love Hurts". The track that can be found on her three song EP was brought to life on the show with the help of the house band The Roots.